Villa Kampos represents a delectable balance of taste and authenticity. 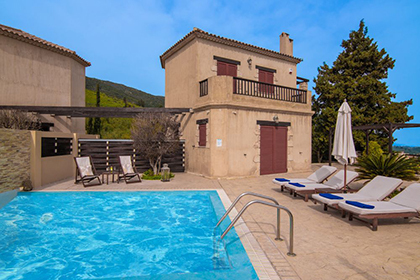 This modern property in Zakynthos composed of two separated apartments suitable for up to 4 persons each and 8+2 persons in total, with swimming pool with Jacuzzi, well-kept garden and outdoor spaces represents comfort and tranquility throughout. Sizzle up something special on the outdoor grill while your beloved ones enjoy the private swimming pool which offers a counter current swimming pool system. 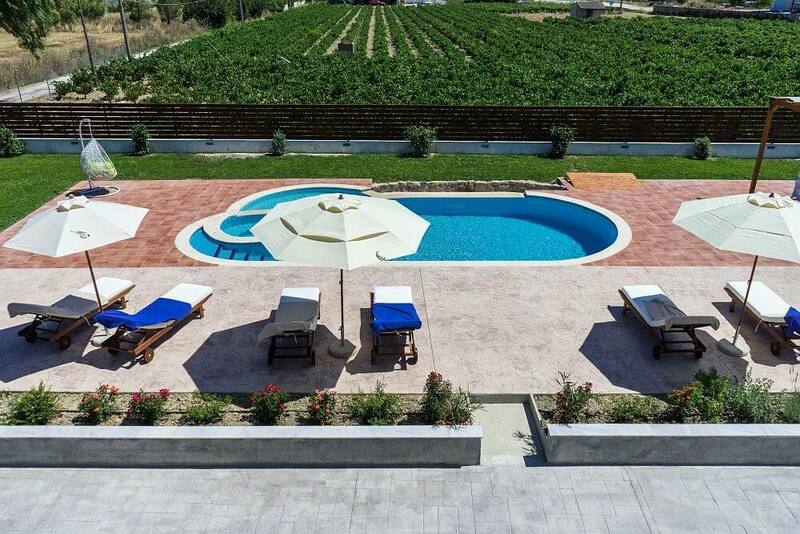 Located in a private green fenced area of 2.5 acres in Vanato, very close to Zakynthos town and the beach of Tsilivi without any doubt the visitors will surely enjoy the most of their stay. Up to 10 guests will sleep comfortable in both apartments, each one individually decorated with modern details, features two bedrooms, one of them with a double bed and the second features two single beds. There’s also a spacious living room with flat screen TV, a fully equipped kitchen with dishwasher, oven, kettle, toaster coffee machine and a bathroom with shower or bathtub. A double sofa bed in the living room on the first floor can accommodate 2 more guests.All the elegantly formed exterior spaces invites the visitors to enjoy the most of their stay in a fenced private area of 2.5 acres. There's also a communal wc and a laundry room with washing machine and tumble dryer. An excellent selection of beaches can be reached quickly by car. 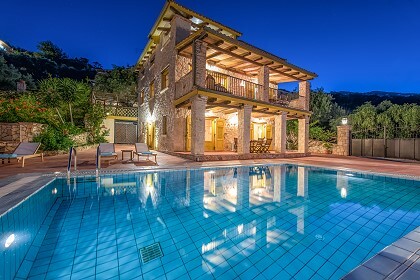 The villa is located just few minutes drive distance from Zakynthos town.The location of the villa is right in the center of Kampos and for this reason the property is named also Kampos.It is a quiet area, very close to the town of Zakynthos and the sights that are there, such as the squares, the church of Agios Dionysios, museums, Strani Hill, Bochali, the Venetian castle and many more. It is also a short distance from the sandy beach of Tsilivi, where you can take a swim in the beach in less than 10 minutes by car. 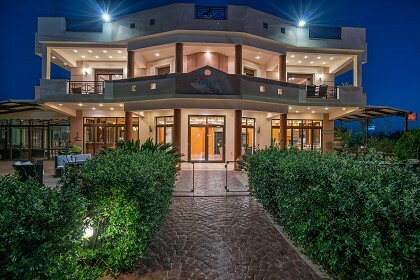 There are many amenities nearby, such as restaurants, delivery, supermarkets. 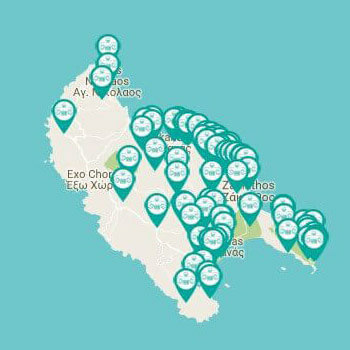 The centrally geographical position of the villa, in Kampos, is ideal to serve as a base for the island's great sights such as the Shipwreck and the Blue Caves. 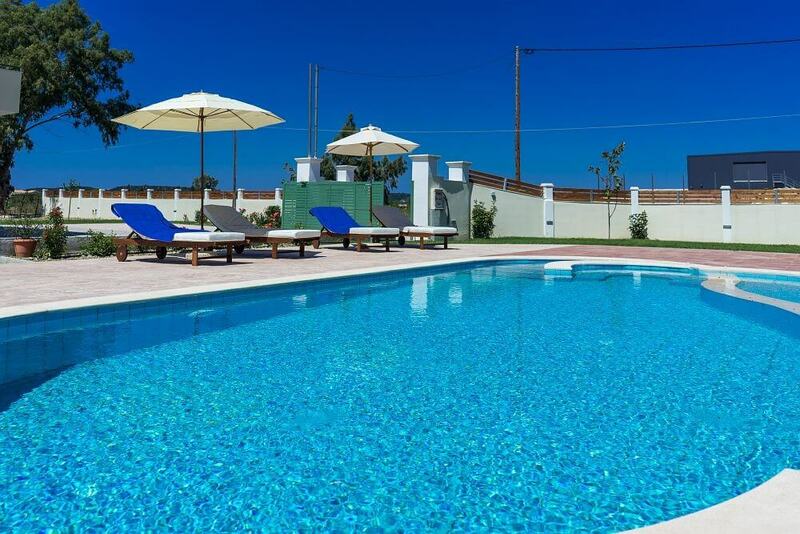 April /May: prices starting from 90 euros/day! 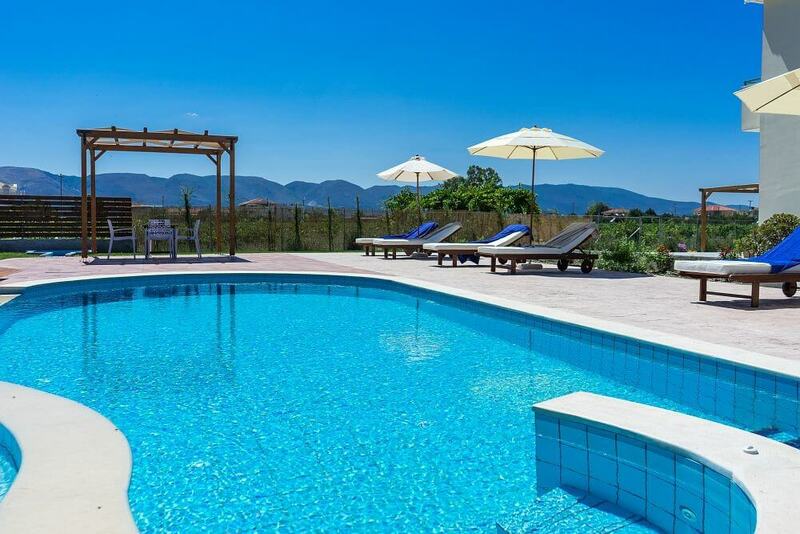 June: prices starting from 140 euros/day! Best Available rates for direct bookings, check our offers!